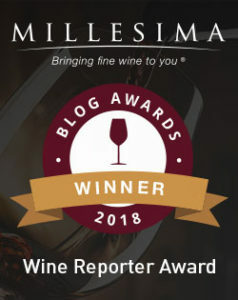 My friend Tara recently began an exciting new position as Hospitality and Tasting Room Manager at Madrigal Family Winery, introducing me to this boutique producer located in-between St. Helena and Calistoga in upper Napa Valley. Considering its location in the heart of Cabernet country, it’s no surprise that Madrigal Winery produces three different Cabernet Sauvignons, but it’s the Petite Sirah that vintner Chris Madrigal is especially proud of. Chris Madrigal’s family history in the Napa Valley dates all the way back to the 1930s, when his Mexican grandparents moved to Napa Valley to seek better opportunities for their family. They soon began farming apples, pears, walnuts and grapes, unknowingly laying the groundwork for what would eventually become a successful vineyard management business in the hands of Chris Madrigals father Jess, currently overseeing some 800 acres. Chris Madrigal would not only continue the family legacy, learning the vineyard farming business working at his fathers company, but evolve it even further when he dreamt of the Madrigal family having its very own winery. In 1995, his dream became a reality, with an inaugural 500 case production of Madrigal Petite Sirah. Appearance: Pours quite inky and dark in the glass. The core is opaque, but the rim reveals a vivid shade of garnet red. Nose: The nose is bold and expressive, revealing aromas of black raspberry, blackberry, licorice and vanilla against a backdrop of underbrush and white pepper. On the palate: The 2012 Madrigal Petite Sirah is medium to full-bodied with an expansive, seductive array of juicy dark fruit flavors. Despite its richness and extract, the texture is surprisingly silky, with a pleasant creaminess to its core. The intense fruit is well-grounded and further nuanced by notes of underbrush, white pepper, and licorice flavors. The tannins are finely grained and contribute to the overall balance of this broad-shouldered yet beautiful wine. Baking spices linger on the persistent finish. 867 cases produced. 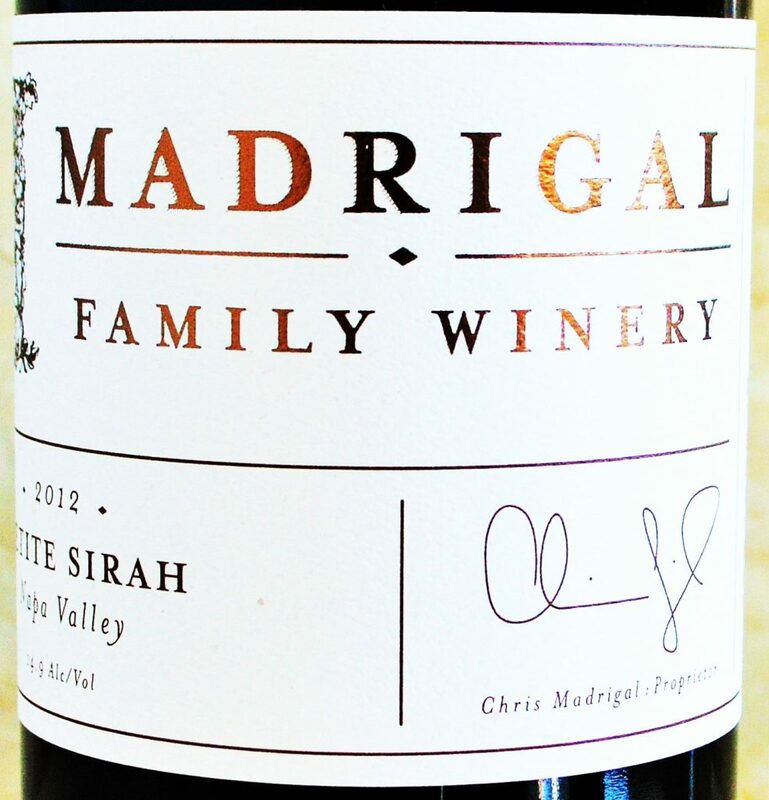 Where to get it: Locate it here via Wine-searcher, or purchase directly from Madrigal Winery. Should you buy? The 2012 Madrigal Petite Sirah is good enough make me a Petite Sirah fan. I’ve tasted many examples of this varietal that I found too peppery, boozy and practically palate cloying. But this well-executed offering by Madrigal Winery offers the perfect combination of depth in a silky, refined package. 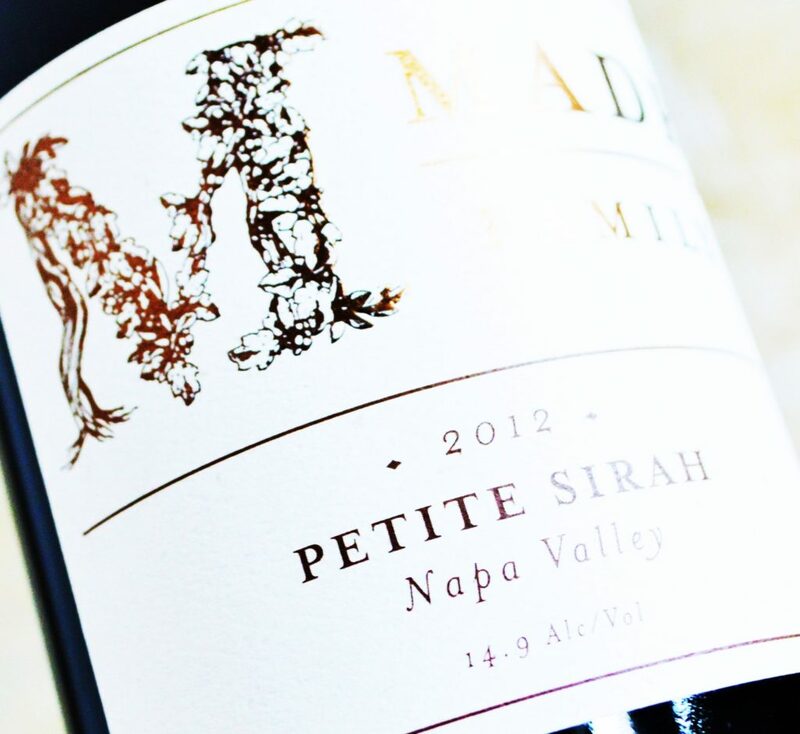 Considering the creep in Napa Valley wine prices, the Madrigal Petite Sirah offers a lot of personality for the money. Petite Sirah is not usually my cup of tea. In fact, I recently passed on attending a blind industry tasting because the theme was Petite Sirah. I usually find them too ripe, over-extracted, boozy and pepper for my taste. Have I just been tasting really poor examples? Needless to say, my experiences haven’t exactly been great, until now. Kudos to Tara for introducing me to Madrigal’s well-executed iteration of this thick-skinned, often polarizing varietal. She said she wanted me to love Petite Sirah as much as she does, and while I might not quite be there yet, this 2012 Madrigal Petite Sirah is undeniably a great start. 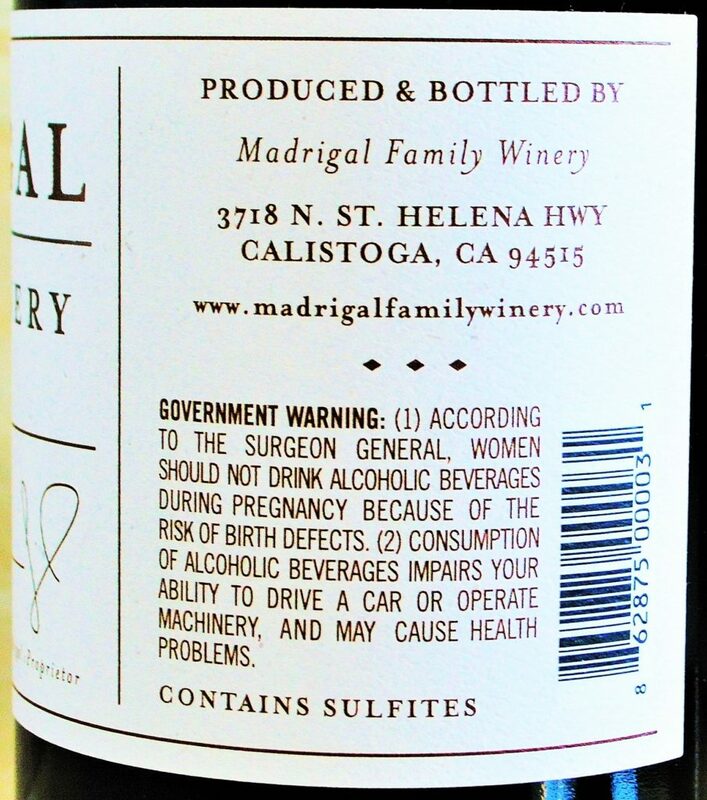 This entry was posted in Between $30 and $49.99 | Reviewed, California Wines - Reviewed, Red Wines, Under $100, Under $250, Under $50, Under $75 and tagged Madrigal Winery, Madrigal Winery Petite Sirah 2012 on April 28, 2016 by The Fermented Fruit. Love Madrigal and Petite Sirah! Cheers! I was definitely impressed with this one. Thinking I might have to reconsider my perspective on this varietal!